Book time to talk with Digital Shadows 1on1. managing digital risk, Digital Shadows. Does your team have visibility into threats on the open, deep, and dark web? Can you identify all the threats to your organization online? Digital Shadows can help. 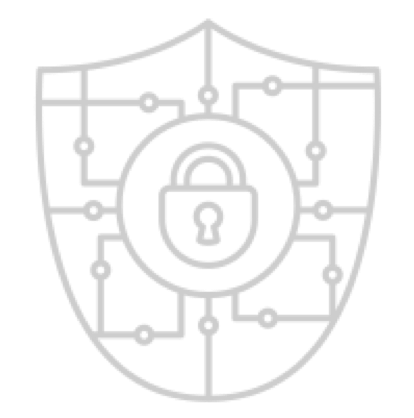 We have security experts on hand at Black Hat 2018 who can help give you a glimpse into the risks organizations like yours are facing. 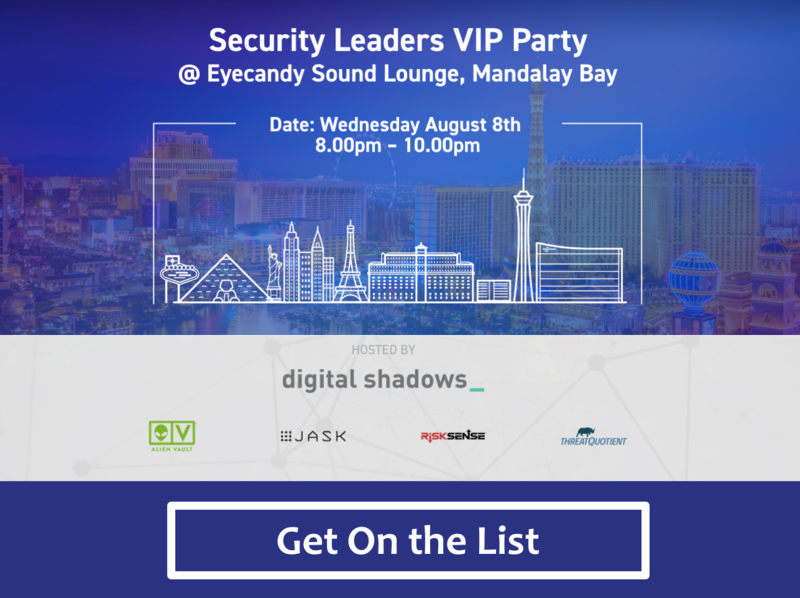 RSVP to The Security Leaders VIP Party Wednesday Night! 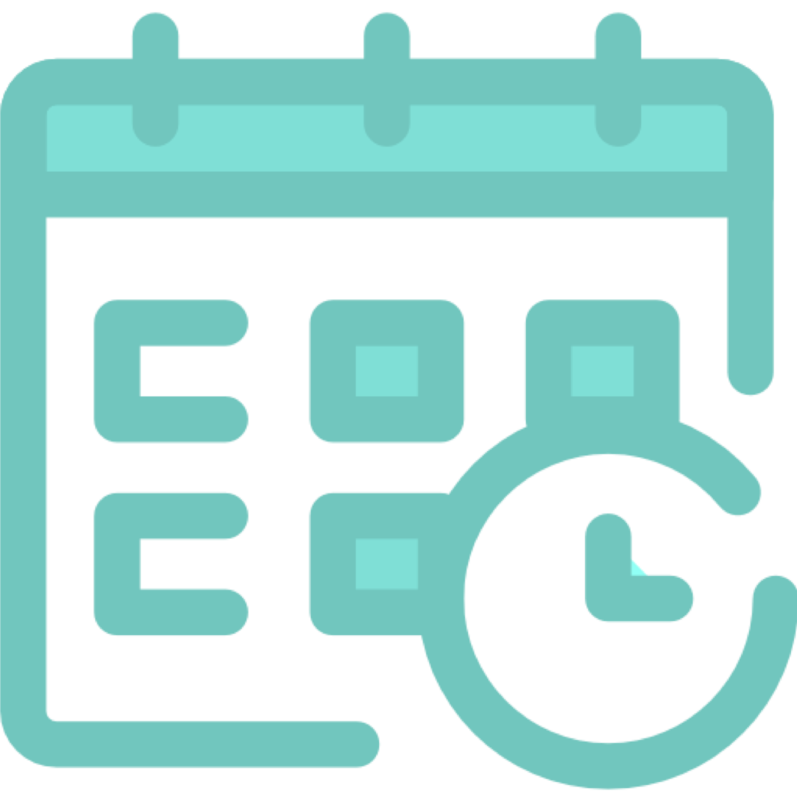 Book a time with our team to show you threats to your business. 2. 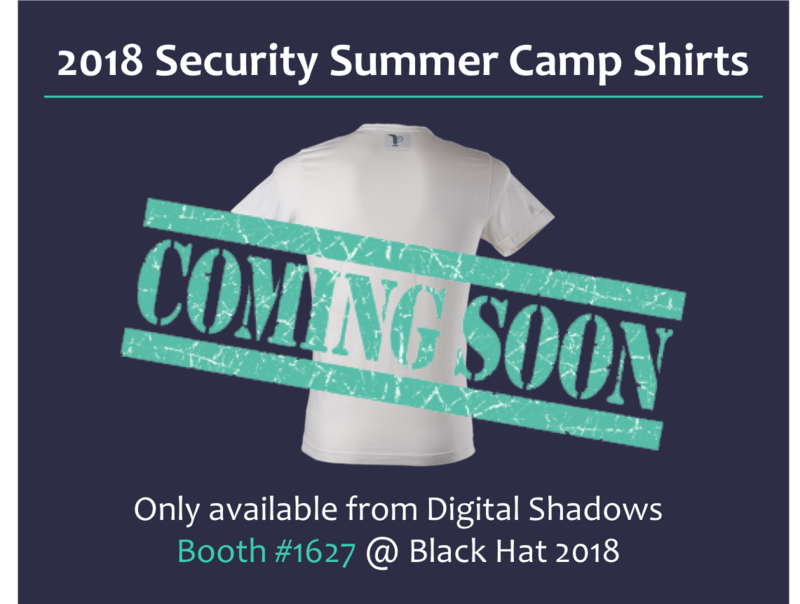 Get your 2018 Security Summer Camp t-shirt! Copyright ©2018 Digital Shadows Inc, All rights reserved. Digital Shadows, the Digital Shadows Logo are registered trademarks. Digital Shadows Inc is a registered Delaware company in the United States. 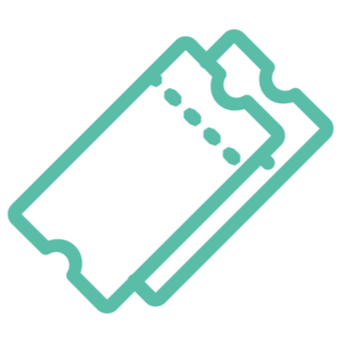 Digital Shadows operate in the United Kingdom as Digital Shadows Ltd. registered in England and Wales under No: 7637356.